I am 75 years and I am in the field of photography from last 40 years. I also serve as faculty for photography at two collage in Surat. I conduct photography classes at my place and have very good name in field of photography. I also am commercial, industrial, interior, portfolio photographer. I also do specialized photography. I also conduct photography workshop in various institutes here in Surat, like GAIL, NTPC, KRIBHCO, NIFT, etc. I along with my two son are the only one in Surat who provide practical knowledge to students. "A brilliant course, really helped me with my photography. Plenty of support and guidance I got here. Well worth doing !! I enjoyed this course,this is the place anyone can learn photography in its true essence." "A Team of Highly Qualified Personal with Professional approach, to each & every aspect of Photography. Starting from the basic parts of the Camera of a simple model to the most advanced camera & lenses, They give hands down experience of handling the camera, exposure, lighting, aperture control. How the various range of lenses are to be used, keeping the subject in mind, whether it is an indoor or outdoor shoot. Experience is given on the ground level, with live models as well as outdoor tours are conducted to enhance your knowledge, The senior most Faculty has an experience of almost 50 years. Various study materials are also provided by them. The training that is imparted to you is reflected by the results of the students photographs which they have taken during the course, the same is critically evaluated by the faculty, where the pros & cons of each & every photograph is explained to them. It was a really enlightening to train under them. " Should I use flash during day time while taking portraits ? Hi there, you can always use flash during daylight portraits. But you must have a flash which you can control. That is you can control the light output of flash. You can also use reflector to fill up the shadow. To sum up, you need to do some experiments with your existing gears. Hope this will help you. Have a happy clicking. What are the various photography courses? There are different types of courses available throughout India. We at Advise photography, Surat offer courses in Basic, Advance and professional segment. I am a ece 2nd year student. i want to become a photo journalist. am i suitable for this? i have no basic knowledge about this. how do i develop myself? Hi there, Anybody who is able to run around with agility can become photo journalist. But first attend some classes to get the basic knowledge of photography. Then with time you will get experience. You didn't mentioned where are you from? Which is the best institute for wildlife photography course in banglore. and how much amount for cource? wildlife photography come under the category of specialized photography. There is no such institute who offer any certificate course. you can start with basic course in photography and then join any workshop organized by wildlife photographer. There are some renowned wildlife photographer who conducts such workshops. 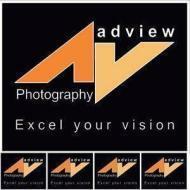 We at Adview Photography also conduct such course and workshop. Adview Photography Classes conducts classes in Photography. It is located in Surat, Surat. It takes Regular Classes- at the Institute. It has got 2 reviews till now with 100% positive feedback.